It is characterized by modern rhythms and arrangements, but a fine feeling of harmony allows the composer to avoid the monotony that plagues many modern pieces of pop music. Unlike many other songwriters, Raimonds Pauls himself is often the interpreter of his own compositions or the concert master of performers. A hallmark of his sound is a very individual, short and accentuately curted stroke that is a distinct characteristic of his style. But he is not afraid to entrust his melodies for the interpretation of other creative groups or to form special bands of performers and produce the sound of his music by himself. 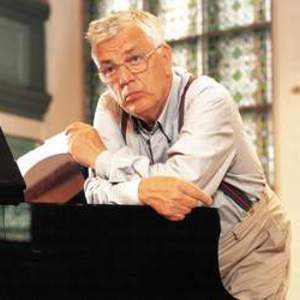 After the brilliant career as a jazz pianist and composer in the 60s, Raimonds Pauls has chosen the medium of song as his major form of expression and at the same time has managed to act out his fantasies as a composer in large staged spectacles - musicals and musical comedies. He always picks the most talented singers and musicians to perform his work and this way he increases the quality of his art to heights unreachable by others. In addition, the bright intuition of Raimonds Pauls continues to surprise with new and unexpected projects, and his creations have been an integral part of Latvian popular music for 50 years, some of them even enjoy the status of folklore. Songs of Raimonds Pauls are popular among listeners of any age not only in Latvia, because many residents of the former Soviet Union took the love towards the excellent music of Raimonds Pauls with them, when they emigrated and Maestro still receives invitations to perform in many countries all over the world.